I was pleasantly surprised by this book. One of the many benefits of my joining the blogging community this year is that I’ve been made aware of many more books than in previous years. 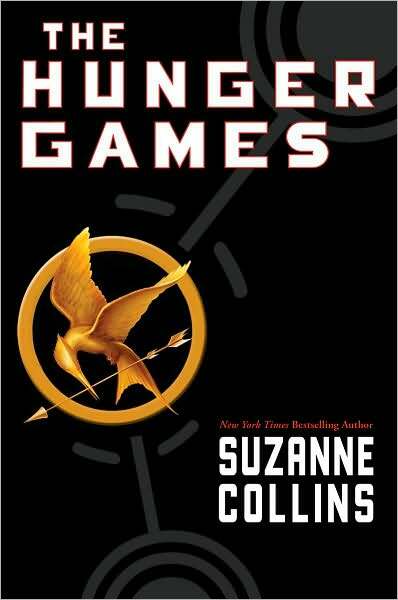 This book, and the Hunger Games Series was frequently touted by the book blogs that I browse. It’s another YA book (I seem to have read a lot of them this year: Beastly, The Boy in the Striped Pajamas, Twilight, etc.) that is told in the first person by a young, teenaged girl. Maybe hard for me to relate to – but this was a good, quick-moving story that held my attention. Described in one place online as “Gladiator meets Project Runway” (well, that’s catchy but not really accurate), it is a “dystopian novel” set in a future North America, where the tyrannical capital city oppresses twelve provinces (“Districts”) that once had the audacity to rebel, an action that reduced the number of districts from thirteen to twelve. 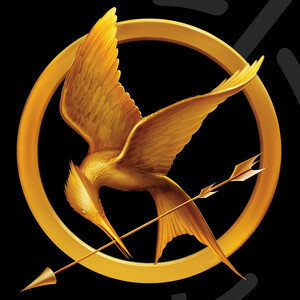 As punishment, there is an annual “Hunger Games” where two youths (one boy, one girl) from each district are chosen (by a complicated lottery) to participate in a battle to the death (nice central government, huh?). The result is an imaginative story which, though not wholly original in concept, is very well done (reminiscent of, for example, the Theseus & the Minotaur myths, with similarities to the gladiator contests of ancient Rome, with bloodthirsty tv audiences – think of the Arnold Schwarzenegger movie, The Running Man. I was also reminded of the classic Shirley Jackson short story, The Lottery). Oh, and the term “Bread and Circuses” comes down to us from the original satirist, Decimus Junius Juvenalis (commonly known as Juvenal) who lived in the 1st & 2nd Century A.D. who lamented that the once great Roman populace who “once bestowed commands, consulships, legions, and all else, now meddle no more and long eagerly for just two things – bread and circuses.” Read “gladiatorial games” for circuses. This is a sentiment those in the Capital City of “Panem” (the fictional country in these novels) would be familiar with. In fact (wow) I just realized that panem is the latin word for bread, as in “panem et circenses”… I’m sure that’s intentional. At least I think I am. below: a close-up of Katniss’s “Mockingjay” pin. In the novels, the Mockingjay is a new species of bird, resulting from the unintended breeding of the government’s genetically engineered “Jabber Jays” and female Mockingbirds. The book is the first of three in the series, followed by Catching Fire (which I’ve already downloaded and begun reading) and Mockingjay, which was released just over a month ago, and for which the buzz about pointed me to Hunger Games. I won’t spoil any more of the plot in this post, but I would recommend it as an entertaining and diverting read, no matter what your age. I’m down to three books to go in my “Project: Civil War” reading program for 2010. I don’t really have any unread books at home on this subject now, so am contemplating a few purchases. A couple candidates are: Cold Mountain by Charles Frazier (my book club read his book, Thirteen Moons a while back and I thoroughly enjoyed that one, plus Cold Mountain has achieved a lot of critical acclaim, plus it’s fiction. Another interesting possibility is a book I’ve heard about from a couple sources. It’s called The Class of 1846: From West Point to Appomatox by John Waugh and it follows the progress of many West Point graduates of that year who later became Civil War generals. I am completing my third life-to-date reading of this classic, and am once again struck with the utter tragedy of the character of Frankenstein’s Monster. For me, the best – and most heartbreaking – portion of this book is the middle, where – after encountering his creation high in the Swiss mountains – Victor Frankenstein hears the story from the creature’s mouth of how he has spent the year since his creation. Here we see, finally, some inkling from Victor that he bears some responsibility in the matter of the creation of “the monster” and its consequences. 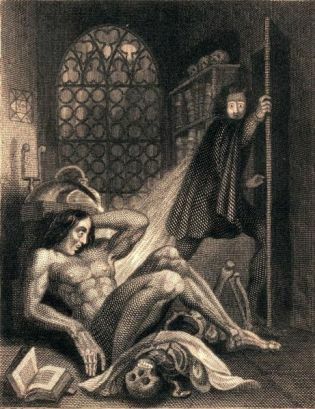 “For the first time, also, I felt what the duties of a creator towards his creature were.” Of course, by this point, Victor may be poisoned beyond repair against the creature, as the latter has already committed the (at least to some degree accidental – “I grasped his throat to silence him, and in a moment he lay dead at my feet”) murder of his younger brother. But the saddest part is the story of the time he spent near the cottage of an old blind man and his son and daughter – and later his son’s lover. It is by observing this family that the creature seems to be on the track to becoming human. He even helps the family (“they suffered that evil (poverty) in a very distressing degree”) by resupplying their firewood on a nightly basis. Upon the return of the son’s love – a beautiful “Arabian” – when the family begins teaching her the french language, the creature via his clandestine observations of the goings-on at the cottage is able to learn language right along with her. He also has the convenient good fortune to find a bag containing three books (The Sufferings of Young Werther, Paradise Lost, and Plutarch’s lives). He is able to learn from these books, and begins to form a plan to “introduce himself” to these people in hopes of winning their good will and “protection” from the wrath he has already found from other people he has encountered that have flown from him in horror. He decides to approach the old blind man at the next opportunity, as he knows it is his physical appearance that sends humans into paroxysms of terror and fear. Even at this point, however, the creature still hopes there is a chance – and so does the reader. Surely, the old man will tell his son and family (“It was apparent that my conversation had interested the father in my behalf…”). However, upon returning to the cottage, the creature learns that the family is going to flee the area permanently. (“‘It is utterly useless,’ relied Felix; ‘we can never again inhabit your cottage. The life of my father is in the greatest danger, owing to the dreadful circumstance that I have related. '”) The creature’s fate is sealed… “For the first time the feelings of revenge and hatred filled my bosom.” It is at this point that the creature ponders the quotation that is the title of this post. The rest of the story is well known. 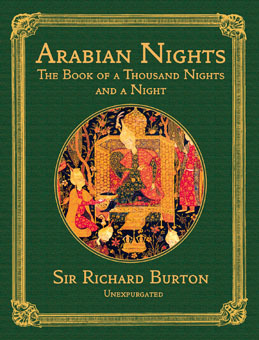 Reading this book has reminded me that I picked up an “unknown” (to me, anyway!) Shelley novel, The Last Man, at a used book sale about a year ago. I am once again motivated to give that book a try as well. What about you? 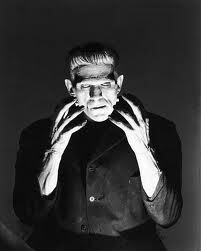 Have you read Frankenstein? Were you as “surprised” as I initially was by the type of book it was (NOT a “monster story”)? 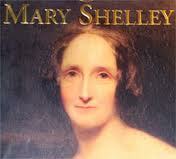 Can you believe Shelley began writing this book at the tender age of nineteen? I was a late discoverer of the amazing writing of this American icon. 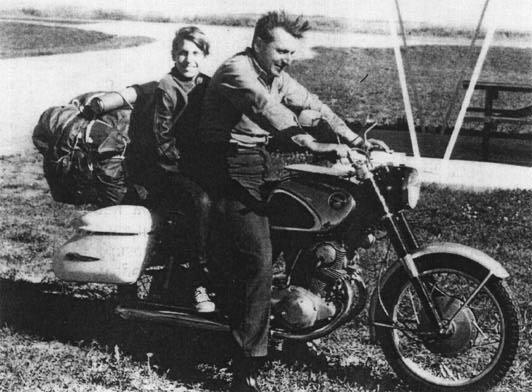 Of course, I knew of him, and knew that On the Road, was “one of the most influential novels of the twentieth century,” but I hadn’t gotten around to reading him (or it) yet. Then, in the summer/fall of 2006, I began to plan starting “A New Book Club” (my first one had petered out in the 90s – lack of dedicated readers, lack of of sufficient number of members, lack of direction that a benevolent dictatorship -as I’ve been accused of in my current club – would have avoided) with some co-workers in downtown Indianapolis. I remember our first planning “meeting” (i.e. lunch) sitting at a table on the western side of the center building of the downtown City Market. Somehow, we came up with the plan for book selection that we are still using today. We also came up with a ‘random number generator’ – in this case the last two digits of the ending Dow Jones Industrial Average (hey, we were all accountants and bankers, what would you expect?) to determine who would make the first pick. Sonja was the lucky member and picked one of Dale’s books, (these two, along with myself, were the members present at this meeting so I consider us the Founding Fathers, er – “Parents” of the book club) and it just happened to be On the Road. Sometime later, as our first meeting approached. Sonja and I were talking about how, fairly recently, Jim Irsay (owner of the Indianapolis Colts! – hey, that’s my team!) had purchased the original manuscript of this iconic work. 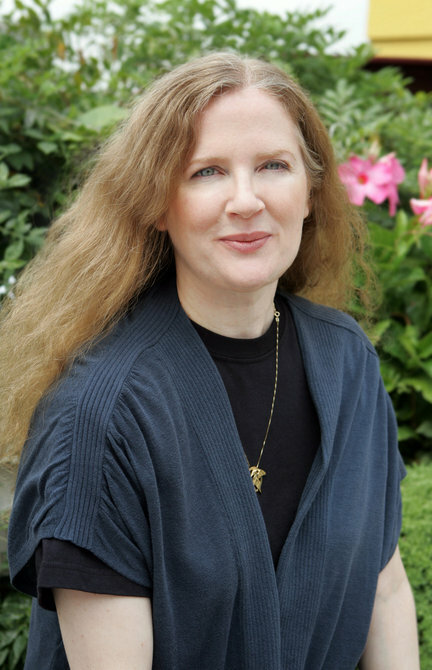 I jokingly suggested that Sonja talk to our friend Nancy in marketing – we did, after all, work at The Official Bank of the Indianpolis Colts at the time – and see if she could get Jim Irsay to come to our book club meeting. On a lark, she did, and no, he didn’t come to our meeting, but he did dispatch his assistant and the keeper of the manuscript scroll, who was the ‘conservator’ (I think I’m getting that term right – he’s the person who takes care of manuscripts) at the Lilly Library in Bloomington, IN, where the scroll resides when not on tour. Well, we were all a little surprised that we would be having guests at our very first meeting, but we were also excited. 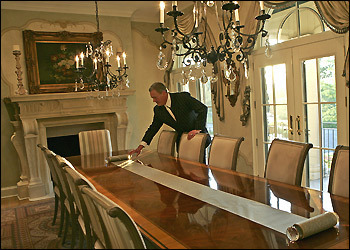 Irsay’s assistant brought some memorabilia to the meeting, including the bidding “paddle” used by Irsay at the auction. The guy from the Library brought a box full of Kerouac-related books to show us and he was clearly someone who was passionate about Kerouac, even being moved to tears once when describing the author’s futile struggles against alcoholism. 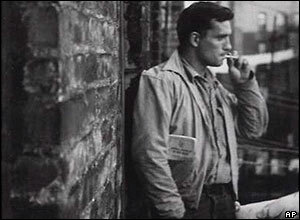 He gave me a new appreciation for the depth of Kerouac’s work beyond On the Road which, until then, had been all that I had known of his writings. 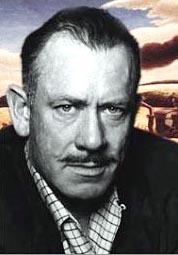 Irsay, who – upon buying the manuscript – had realized that he had given very little thought to what he would do with it or even where he would keep it. 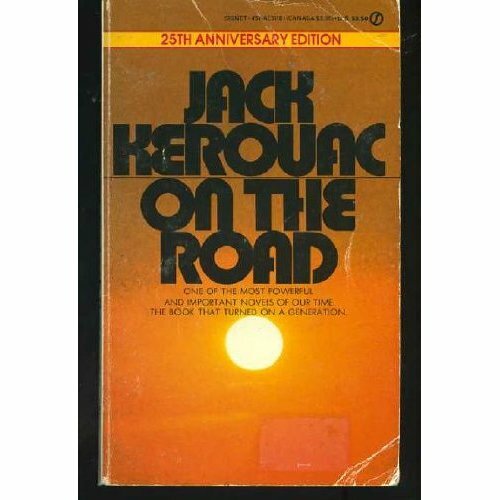 It was sheer luck that, theretofore unknown to him, his offices were just an hour away from one of the most extensive collections of original manuscripts in the whole country, and their custodian, the man who came to our book club meeting, was also a lifelong and devoted fan of Jack Kerouac. Why am I writing about all of this now, you ask? Well, last Saturday I made one of my “irregularly scheduled” appearances at a coffee shop in the “Meridian-Kessler” neighborhood here in town. This is on the ‘old’ north side and home to many old, grand houses (think Booth Tarkington’s The Magnificent Ambersons which, in fact, is probably an actual fictional (actual fictional?!) representation of this part of town). Anyway, the thing about this coffeehouse is that it is the home of the “Bishops of Cappuchino” chess “club” (cute name, huh? ), and – although I’m still retired from tournament chess – I do still enjoy a casual game every now and then. 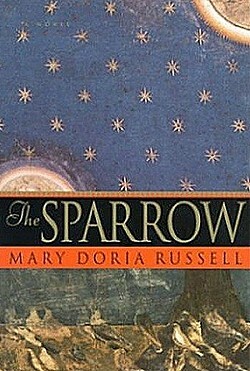 The other purchase is a science fiction book, Sparrow by Maria Doria Russell. I have heard a lot of buzz about this book on some of the other books & reading blogs that I follow, and thought I’d give it a try. The novel tells the story of Earth’s first encounter with an alien species and the problems that arise from it. I am looking forward to reading it after I complete the remainder of my ‘required reading for September. I’ve knocked out the Lincoln & Vonnegut books already and it’s only the 6th of the month. Frankenstein & Zen & the Art of Motorcycle Maintenance remain… wish me luck. How often am I reminded of this while reading. I’ll stumble upon a reference to someone or something I have read about or read, but so long ago (and sometimes not even that long ago!) that, frustratingly, I can remember almost nothing about it. 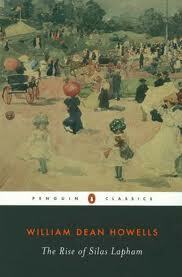 The book on Lincoln I just read mentions a 1860 campaign biography of Lincoln, written by William Dean Howells. That name was familiar to me, but it took a few moments to remember from where. I actually read – probably more than fifteen years ago – a novel of his called The Rise of Silas Lapham. 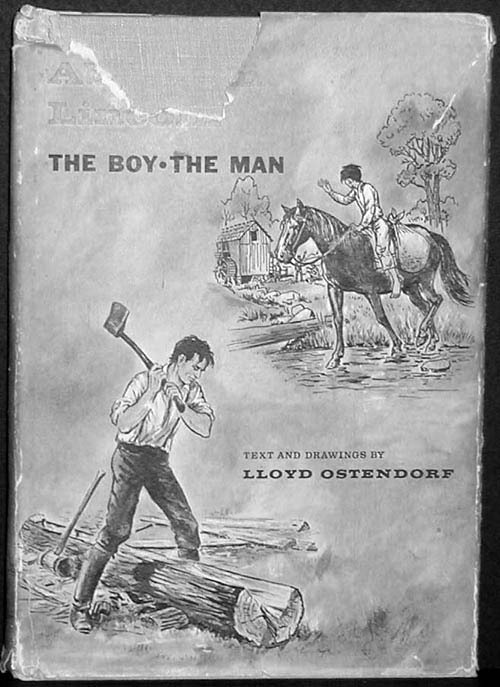 Sadly I remember very little about this book, other than it was kind of a ‘rags to riches’ story about a man who earns a fortune in the paint business (by discovering a ‘paint well’ on his property). I remember very little of the details of the book, and this rather makes me wonder if a lot of the reading I do is a ‘waste of time’ if I don’t retain it any better. My dad was a teacher, and always stressed the importance of ‘review’ in the learning process. I suspect this is what is lacking in my case. Being blessed with a ‘competent’ memory though not a remarkable one, I need to bolster it somehow. 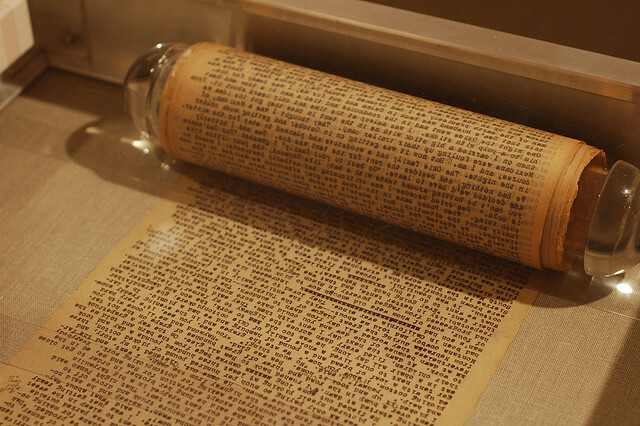 I was also reminded of this while reading the Lincoln book (covered in my last post) that Lincoln reportedly would not just read something, he would read it and re-read it a few times until he “got it.” Once he had it, he rarely lost it. He described it as though his memory were like a piece of steel – very had to make a mark upon, but once marked, also very hard to remove the mark. I think reading books on my iPad may end up making remembering easier for me. It is so quick and painless to review the sections that I’ve highlighted or noted, I should have no excuse for not revisiting these books later. I finished reading There I Grew Up: Remembering Abraham’s Indiana Youth today. (I actually just picked it up at the bookstore yesterday, but it’s not too long.) It’s a much more scholarly & ‘research driven’ book than I’ve been reading lately, but I did find it pretty interesting. Perhaps I would have found it less so if it weren’t for the fact that I live in Indiana myself. A week from tomorrow, the book discussion group at Bookmama’s Bookstore is meeting to talk about this book and the author, William Bartelt will be present. I am looking forward to this. The author worked for 15 years (in the summer) at the Lincoln Boyhood Home National Memorial and am sure has insight about Lincoln above and beyond what was covered in this book, which focused almost exclusively on Lincoln’s time in Indiana. Good book. I’ll report back after our meeting on the 13th.